The two of us ate meals in the same dining room, sat with friends in the same living room, and studied in the same second-floor library because we belonged to the same fraternity, but our lives and the people we became could not have been more different. We were separate generations, my father and I, yet we shared the same space on the corner of 34th and Walnut streets 30 years apart. Only recently have I realized what I might learn from the special bond we shared across two generations and our brotherhood in Zeta Psi. John Stull was a child of the Great Depression from a family that lost nearly everything in the 1929 crash. Food was simple and often came from their backyard garden. His father was without work for much of the 1930’s. Sometimes the family was unable to afford the oil to fire the furnace. Dad’s older sister joked that in winter they opened the windows to let in the warm air. John Stull was smart and he followed an ethic that nobody would work harder than he. That earned him a scholarship to Haverford School and financial aid at Penn. He was a day student who regularly took the early morning and late night Tuscan red Pennsy commuter trains between 30th Street Station and his modest family home in Moylan Rose Valley. His grades earned him membership in Phi Beta Kappa and he was near the top of his class year after year. Many at the time lived with the specter of war as Hitler’s Germany bullied Europe and then overran the continent. Fear that America would join the war was widespread, and when I see my father in the class photographs that still hang in the corridors of the Sigma chapter house, I see in his expression and those of his classmates a look of discomfort, sadness, perhaps an absence of hope, and weariness at much too young an age. He and his school chums, who later enlisted in the Armed Forces when school was finished, could not know then that America would emerge victorious from World War II and go on to become the most powerful nation on earth while turning millions of depression era victims into successful builders of a new world order. John Stull and his wife Kate had one son; me. I grew up with duck and cover drills to protect us from nuclear attack during the Cold War, but post WWII optimism and consumerism was on the march nonetheless. Science, technology, and mass production and distribution combined to transform the country and the world. A house and an automobile became the American dream and millions achieved it from the very real opportunities available to the vast majority of citizens. Life then was good for the middle class and my generation rarely knew an absence of hope for the future. It seems ironic that our fathers fought to protect freedom and to raise the status quo yet just one generation later their sons and daughters were battling the status quo and inciting civil unrest to promote peace abroad and equality at home in America. My first semester at Penn saw students occupy the university president’s office for several weeks to protest the Vietnam War. Where my father’s generation went to war to protect freedom as a way of life, his son’s generation sought to change the country’s politics to foreswear war and embrace fairness. The new world this generation hoped to build, as brief as it became, rode on the shoulders of our forefathers and the harsh sacrifices they made. 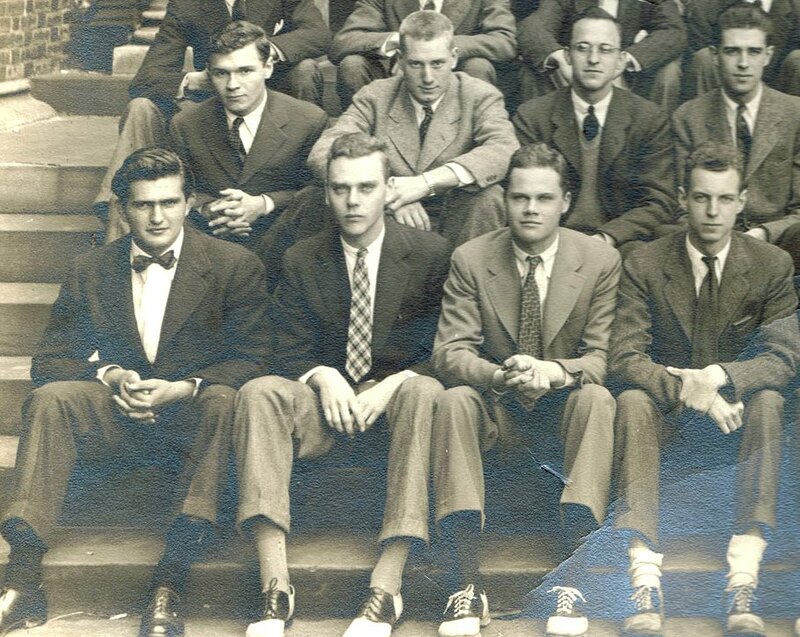 I joined Zeta Psi largely because my father sold me on it. 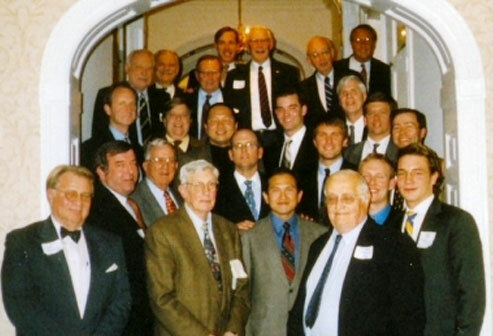 It was, he said, a good fraternity, not a prep or a jock house, but largely a group of friendly and unassuming fellows who would treat the house and each other as a home away from home. He was right: Zeta Psi was a good choice. Unlike my father, however, I was by no means the hard working, award winning, and athletic young man my father had been in high school and college. I had been that in high school or I would not have been accepted by Penn despite the legacy. Our generation faced not a depression but instead rode a booming economy in an era of growth and success that seemed without end. But our exuberance became dampened by the realities of humankind as the senseless Vietnam War overshadowed our nation. Many in my generation and dad’s opposed it, perhaps in part for him because he had enough fighting in WWII to last a lifetime, and because it was so very different in purpose and scope. During my years at Penn I was amused to discover that on the hallway wall just outside my room hung my father’s class photographs. At the time it seemed coincidental but years later I realized the picture was symbolic and held far more than just an image. His photo was a statement fixed in time illustrating the beginnings and ends of generations, each living with far different issues and challenges, and each of us doing what we felt was right in our time and place. When we were students and active brothers at Zeta Psi, like the generations that came before and after, we had our hopes, ideas, and dreams of the future. But it wasn’t until 30 years later, as I recalled my father’s class photograph, that I understood that he had finished his working years and would eventually arrive at the end of his days while that photograph would still show the young man with his future ahead of him. Now as I stand in his shoes and recall the experiences of my life, the simple black and white class picture on the corridor wall generates certain introspection. Zeta Psi membership lets us identify similarities in our lives even though separated by a generation. My father grew up in a time of global uncertainty and then rode the wave of an expanding postwar economy. I grew up in an age of generous bounty but now face uncertainty brought on by serious issues our world now faces: climate change, global terrorism, slow economic growth, murders by firearms, bigotry and racism. Today, at least for me, Zeta Psi serves as a mile marker on life’s short road. The fraternity was a common place where my father and I began the journey and from there experienced very different worlds. It leaves me to wonder how it will be with my son and grandson. The legacy of two generations of Zeta Psi has taught me to better understand my family, what another generation did, and what tomorrow may hold for our progeny.